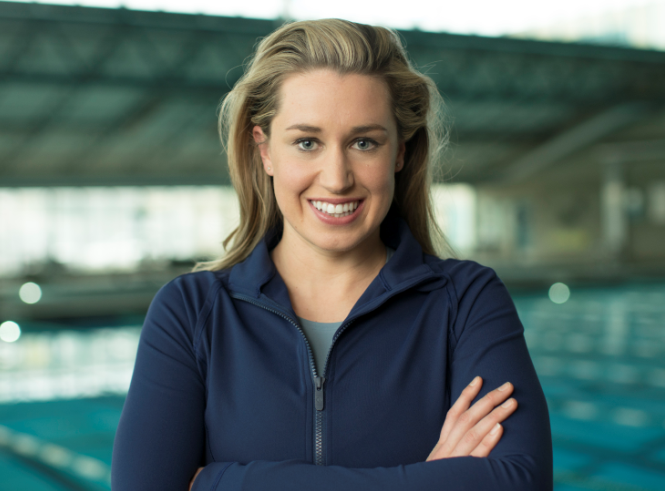 Katie Hoff is a three-time Olympic medalist and Former World Champion Swimmer who has held several American and world records throughout her career. She was forced to retire from the sport in 2015 due to the development of blood clots in her lung, known as pulmonary embolisms, or PEs. Katie is best known for her individual medley (IM). She held the American record for the 200-meter IM and the world record for the 400-meter IM. In July 2014, Katie experienced a sharp pain in her chest and sides, which forced her to withdraw from the National Championship. She initially had been diagnosed with a muscle strain and asthma when a CAT scan revealed two blood clots in her lung. Due to the buildup of scar tissue in her lung caused by the blood clots, Katie officially announced her retirement from swimming in 2015. Now, Katie is focusing on her health and is encouraging others to do the same. Katie knows just how serious PE blood clots can be, driving her to share her story and raise awareness about the signs, symptoms, and treatment options available. Do you have a comment? Join our online peer-to-peer support community and connect with other people who have experienced a blood clot. To learn more about blood clot risks, signs and symptoms and prevention, please click here. To learn more about blood clot risks, please click here.